NJ Mold Testing Q & A - Mold Issues Covered By Insurance? You are here: HomeBlogNJ Mold Testing Q & A – Mold Issues Covered By Insurance? One of the most common questions posed to our team of New Jersey mold testers is whether mold issues are covered by insurance. Ultimately, the cause of the mold dictates the answer. Additionally, the specifics of your individual policy may impact coverage. A Bergen County mold testing service can help discover the prevalence of mold in your home, including how big the issue is and how it started. Once you know what caused the mold in your NJ home you can determine the extent of coverage. Mold grows in damp conditions. These moist conditions can be caused by plumbing issues, holes or cracks in the roof or foundation, or by Mother Nature. Freezing temperatures and excessive rain are but two of nature’s forces that can wreak havoc on a home and lead to mold. Oftentimes, these factors will determine whether your insurance will cover mold removal. With proper coverage, your homeowner’s insurance will cover a flood that resulted in mold growth. However, when it comes to roof damage that was ignored or delayed to repair, your insurance policy may not cover any damage caused! It’s important to pay attention to the condition of your house as well as the statutes of your policy to make sure you’re home is safe & covered in the event of damage. Covered perils vary from policy to policy. A policy with “named perils” outlines exactly what perils are covered. Some policies have “all perils” coverage. Similarly, in a “named perils” scenario the items covered are called out. If something other than what is named occurs it is most likely not covered. An “all perils” or “open perils” policy will list what is excluded. In short, mold damage in your NJ home will be covered by insurance if the mold exists because of a covered peril. Similarly, mold damage will likely not be covered if it is caused by homeowner negligence. Most noteworthy is a lack of maintenance. When you suspect mold your first step should be to hire an experienced mold testing company. This will determine the existence of mold and its genesis. 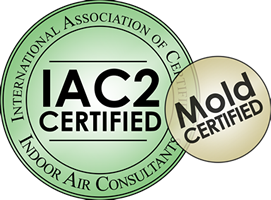 Certified Mold Testing NJ is a reputable Bergen County mold testing company to rely on when you suspect mold in your home. Contact our team at Certified Mold Testing NJ today to schedule mold testing in New Jersey. 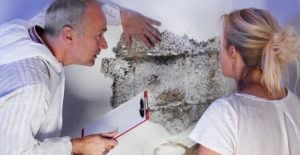 Our experts can locate mold and determine its cause. The area’s leading mold testing experts, Certified Mold Testing, can help ensure your home is a healthy home. Click here to read “A homeowner’s guide to natural disasters” from Homeowners Insurance Guide.